Are you planning a business trip or a holiday in Bulgaria? Do you need a comfortable mode of transport? Cheap car rental deals in Bulgaria is within your reach! Do you prefer to use the services of well-known international brands such as Hertz, Avis, Alamo, Sixt, Europcar etc. or perhaps use local car rental companies? If you lack the time to look through countless pages to find the best offers and deals, we’ve got a perfect solution for you! 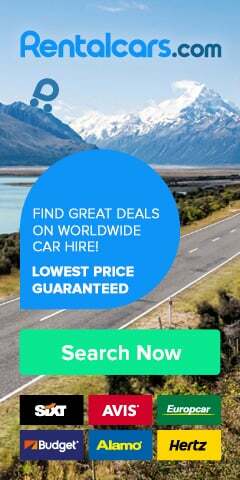 Rentalcars.com – online service which makes the process of finding a rental car simple and fast, and it will also save you money! Search, compare and choose from several hundred offers available in one place. International brands. Quality and experience. Predictability and a price guarantee. If you want to rent a car in Bulgaria, we can sort you out. We will help you find a car for every occasion and every type of road - jeep, SUV, estate, compact car, economical car, van, and the minivan. Golden Bulgaria in cooperation with the leading car rental companies on the Bulgarian market, offers you a large selection of vehicles at low prices throughout the country. With us, you can rent a car in all major Bulgarian cities as well as in Bulgarian seaside resorts. Choosing our services will allow you to reach your desired destination in an easy and pleasant way. affordable prices - currently one of the cheapest offers in Bulgaria for renting new cars. Rent a car in Bulgaria: Rentalcars.com. How do we work? We are always happy when you are satisfied with the level of our services. Choose the car features and payments. Peace of mind with our support. We will help you around the clock - at every stage of your journey. Do you have any doubts or you are not convinced? No problem - contact us and we will arrange everything for you, according to your wishes and needs. Book and be sure!